On 6 March Friedrich-Alexander-Universität Erlangen-Nürnberg (FAU) takes an important step along the path towards the new Department for Islamic Religious Studies (DIRS). On this day, the newly formed DIRS Advisory Board will hold its inaugural meeting. The board is composed of Islamic theology scholars and academics from related fields, representatives from the pertinent Muslim associations in the Free State of Bavaria and Muslim personalities from public life at home and abroad. The Advisory Board provides FAU with counsel on the establishment and operation of the DIRS in important aspects such as appointing professors and setting up the curriculum for Islamic Religious Studies within the framework of current constitutional provisions on religion. The Advisory Board’s members are: Erhan Cinar and Mustafa Yaman from the Turkish-Islamic Union of the Institution for Religion (DITIB) Bavaria, Erlangen city councillor Mehmet Sapmaz, the Iranian theologian Hamideh Mohagheghi, Asgar Can from the Word Uyghur Congress, Rabeya Müller, head of the Cologne Institute for Inter-religious Pedagogy and Didactics, Prof. Dr. Muhammad Khalid Masud, former chairman of the Pakistani State Council of Islamic Ideology (2004-2010), Dr. Mohammad Hashim Kamali, president of the International Institute of Advanced Islamic Studies (IAIS) from Kuala Lumpur, Malaysia, Prof. Dr. Yasemin Karakaşoğlu from Universität Bremen, Ashraf Ahmad, Islamic religion teacher at the German Protestant High School in Cairo, Prof. Dr. Halit Ünal, Islamic studies expert and theologian at the University of Kayseri in Turkey, Prof. Dr. Bülent Şenay, religious studies expert and theologian at the Uludag University Bursa, Turkey, and Dr. Aysun Yaşar, Islamic studies expert at Otto-Friedrich-Universität Bamberg. The Department for Islamic Religious Studies is one of four centres in Germany where theologically trained experts in Islamic studies will be educated in the future. Last year the German Federal Ministry for Education and Research agreed to support the establishment of the centre financially. 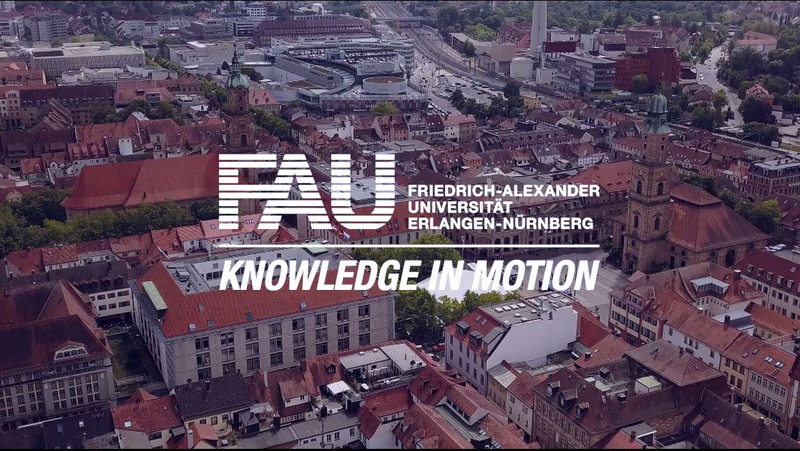 Over the next five years, the Federal Government will finance professorships, employee positions and junior research groups at FAU with up to €4 million. On a regional level, the Bavarian State Ministry has manifested its support for the Islam Centre by approving a professorship in Islamic religious pedagogy in October 2010. Over the course of this year a further three chairs are to be established in the Department for Islamic Religious Studies – chairs in Islamic religious studies with a focus on philology, and practical and systematic aspects. Four junior research groups are to be set up for postgraduate students led by junior research leaders in order to prepare for a university career in the field of Islamic religious studies and to pave the way for cutting-edge research in this department. A post graduate programme for Islamic theology involving FAU has already be given the green light by the Mercator Foundation. The degree course “Islamic Religious Studies” is set to start in the winter semester of 2012/2013. Its establishment will be celebrated on 27 September this year at an inaugural event with the German Federal Ministry for Education and Research and the Bavarian State Ministry for the Interior. In teacher training, the subject “Islamic religious pedagogy” is to be extended to upper secondary education.